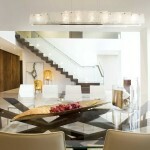 Bella Stairs had the privilege of collaborating with one of Florida’s finest Interior Designers, DKOR Interiors! 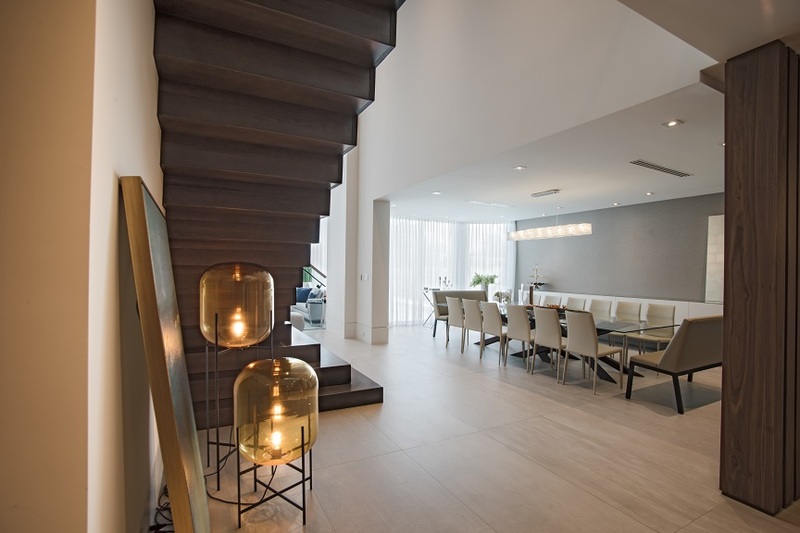 With a new layout and stair design drawn up by DKOR Interiors & Bella Stairs, we were able to relocate the staircase to another section of the home. 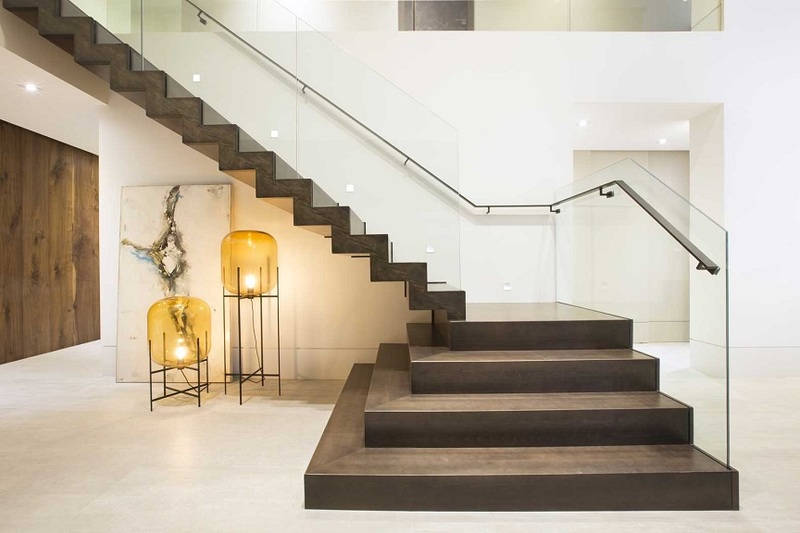 The new location for this grande staircase opened up the space to a much more grande foyer entrance. 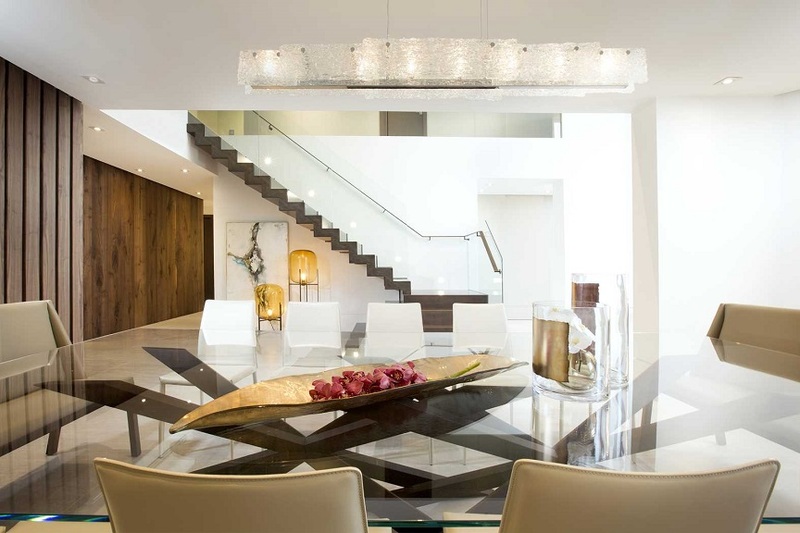 This contemporary staircase features an exposed zigzag design, giving the illusion of a floating staircase. A pyramid design was created for the landing, providing dual access up stairs. 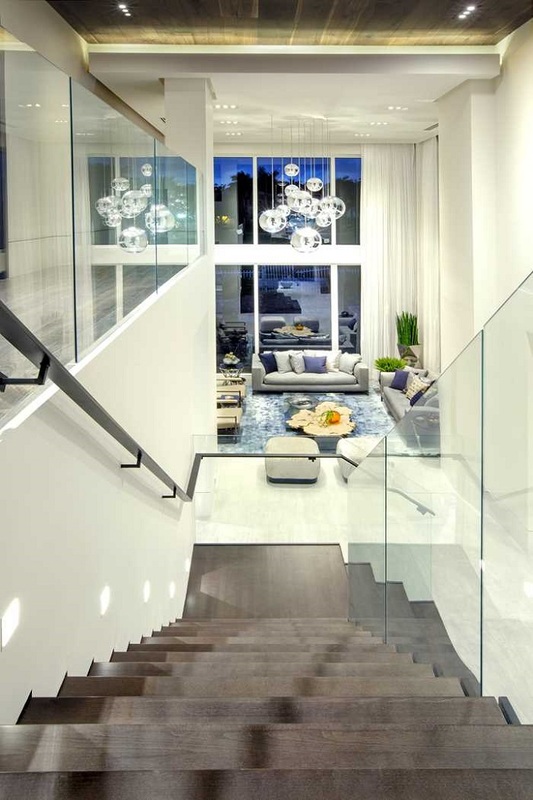 Frame-less glass railings were installed along the staircase and continue onto the second floor guardrail. The glass panels were side mounted using a stainless steel standoff system, then covered with wood cladding, matching with the closed riser wood treads. 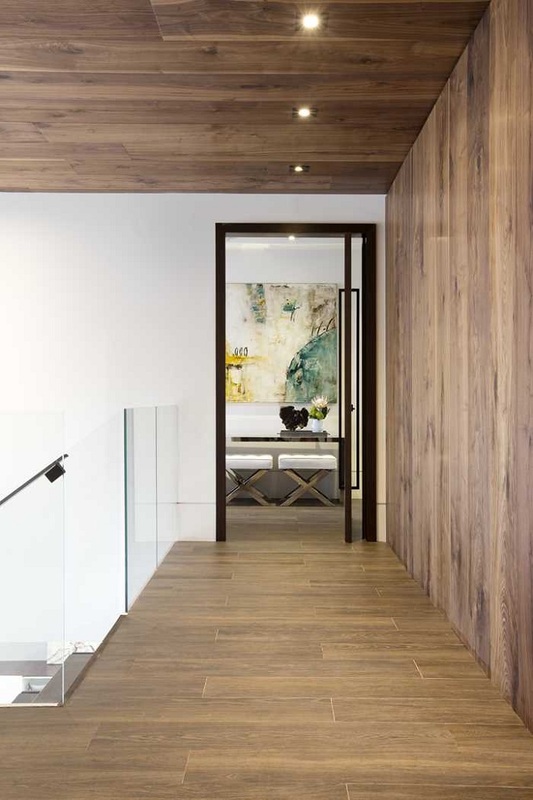 The beech wood treads were stained dark to match the wood tiles selected for the second floor. Choosing a dark stain also created a nice contrast with the light gray porcelain Italian tile on the first level. 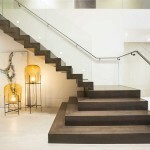 A black flat bar handrail was mounted directly onto the glass railing and transitions onto the wall along the staircase. 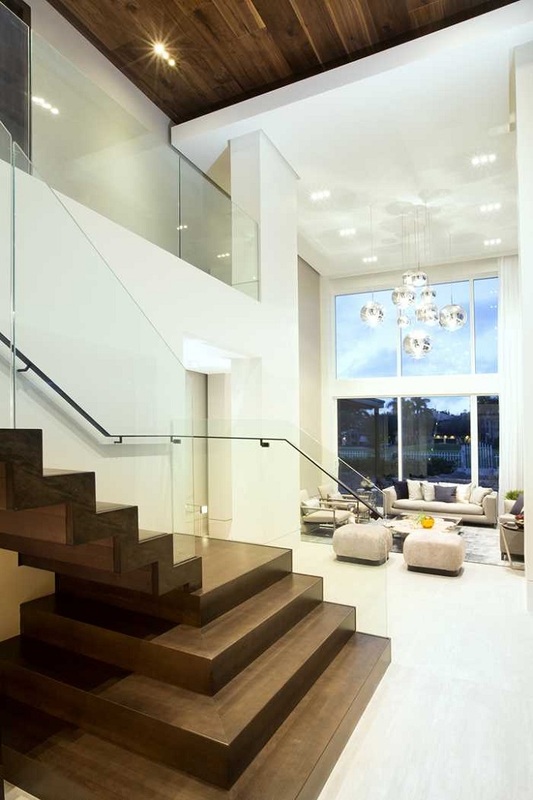 Adding glass railings also allowed for more natural sunlight to brighten up the home as well. Combining all of these architectural details & design elements together truly complements the homeowner’s style and decor perfectly. 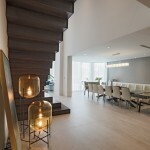 Another successful collaboration with our friends from DKOR Interiors. I’ve been remodeling my home over the past year and I want to do the staircase next. This example of stairs could look really nice for the style I’ve been going for. I’ll have to remember it to make sure my house looks good even where people might not expect a lot of design input.